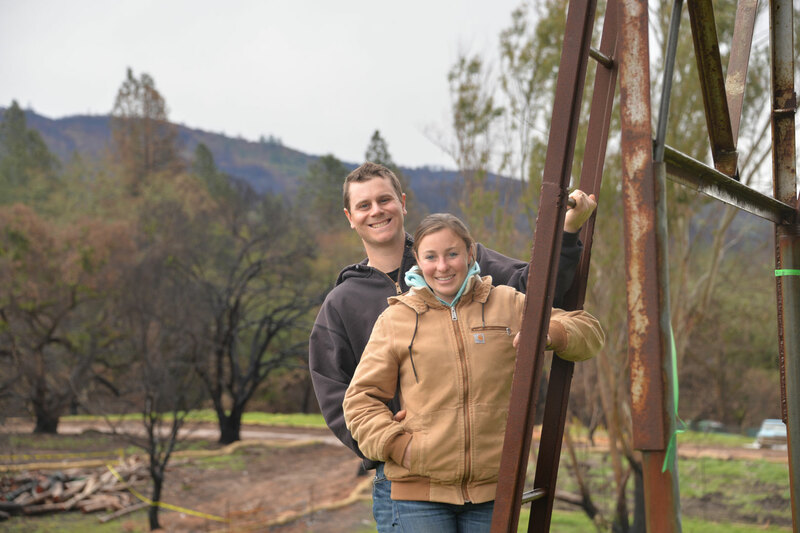 Austin and Melissa Lely on their Glen Ellen farm that burned in the October 2017 Wildfires. Clean-up began mid-February, but at the end of February, the property still has no running water or electricity. The Lelys are positive about rebuilding their farm and are planning a successful year ahead. Photos by Rachel LaFranchi. On the right, crews finish cleaning up the debris of the house Austin and Melissa Lely lived in that burned in the October wildfires. On the left is where Austin and Melissa will grow row crops for farmer’s market this spring. The last standing building on the Lelys’ property as crews continue to clear debris. Austin and Melissa Lely met at Chico State in 2010. They graduated as recreation majors and neither had a farming background. 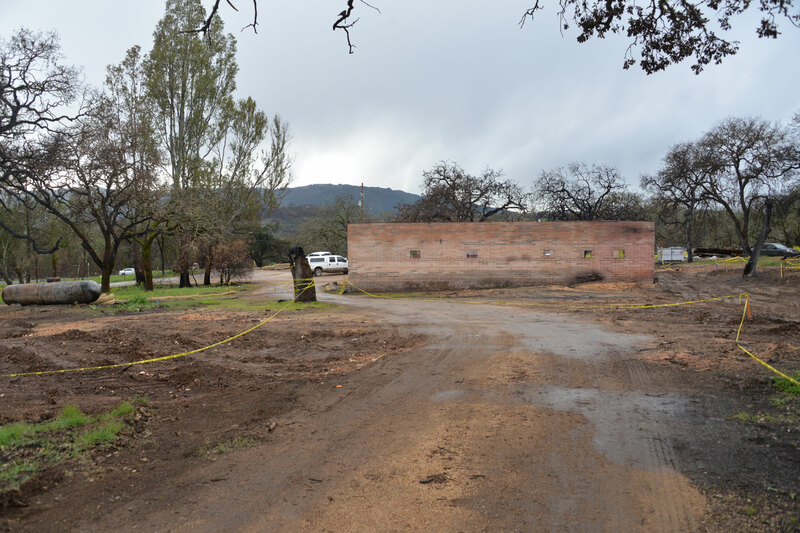 After graduating, the married couple moved to Glen Ellen, near where Austin grew up. Austin, 28, and Melissa, 27, fell in love with food and said their shared interest just spiraled. At the same time, the couple was seeing issues with the local food system, and saw a trend towards consumers seeking healthy food. Five years ago, they moved to a house in Glen Ellen where they were caretakers of the property and began growing their own food. “We decided that if we were going to have our own garden, let’s have it big enough for the community and farmers’ markets,” said Melissa. The couple incorporated as Bee-Well Farms in 2015 and was growing an acre and a half of produce for local farmers’ markets and raising chickens for egg production. They did one farmers’ market the first year and have expanded every year since. In 2017, they increased from raising 65 chickens to more than 400. Their chickens are raised in mobile coops which essentially make the entire farming operation moveable. A year and a half ago Melissa left her job at Beltane Ranch where she worked for their Bed and Breakfast and in their organic garden to work full time on Bee-Well Farm. Austin left his 5 year career with Benziger Family Winery, where he originally joined the company as event staff. 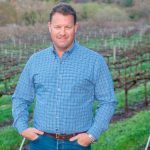 Eventually Austin advanced to a position in Benziger’s tasting room, then their viticulture and sustainability department before his most recent position as ranch manager. During his time with Benziger, Austin learned a lot through their biodynamic program, skills he is looking forward to applying to Bee-Well. “This year was going to be the year we dive right in and really grow the farm,” said Austin. 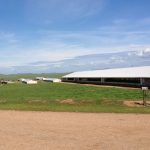 “We had planned on growing our egg production to 2,000 laying hens for 2018. We had ordered the 1,600 chicks in July of 2017 and they were supposed to be delivered on October 12, 2017. “On the night of October 8, around 11:30 p.m. our neighbor woke us up in a panic. He said that there is a fire and everyone needs to leave. We drove to the back of the property to check the cows and the fire was already burning the ranch next to us. That was right before midnight, and at 7 a.m. on October 9th Austin and Melissa received a call from their landlords that everything was gone, including the house they had lived in the last five years. By 8 a.m., they were back on the property. They had stopped and picked up a bale of hay from a neighbor, and came back to find that all their animals had survived. Austin and Melissa stayed for eight days with the fire burning around them. They described the roadblocks into the evacuation zone as a nightmare and said they were meeting friends to bring in bare necessities of food and supplies. They said that during the days that ensued, the couple was in survival mode taking care of their animals as well as their neighbors stock who were unable to access their adjacent properties. They said they each worked more than 80 hours in the first five days, sleeping in shifts of four hours. Austin and Melissa said they were particularly grateful for the community support over the following months, especially their neighbors. The Kunde family put them up after they lost their house and the Lelys are continuing to rent that house. Austin and Melissa tried to keep their animals on their home property, but after two weeks of hauling water for the animals, the Kunde family encourage the young couple to house their animals on the Kunde ranch. A relative of the Lelys started a GoFundMe for the couple that raised more than $10,000. Both Austin and Melissa agree they learned a lot through the recovery process. 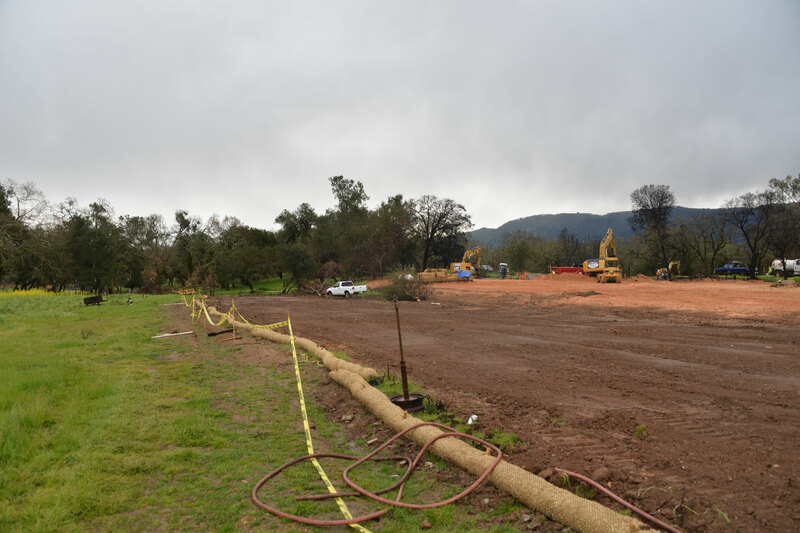 They applied through grants with NRCS and FSA for fencing, erosion control, creating defensible space and more. They learned about many additional programs these organizations offered which they didn’t know about before the fires. Austin and Melissa are positive about their business and what the future has in store for them. Their landlords, who have a small vineyard and produce wine, also have tenants growing cannabis. They all see the three businesses working together to create a polyculture and agritourism hub. Melissa sees their business shifting slightly from last year. Where they participated in seven farmers’ markets per week in 2017, they are going to focus on a couple of the markets they felt worked better for their farm. They plan to open an on-site farm stand and build a website where they can sell commodities online. They’re also planning on hosting events starting with a plant sale in the spring and pumpkin patch in the fall. They’re passionate about educating their community, and they hope to share their message about eating locally as well as hosting seminars and workshops. They plan to continue to grow, especially their egg production which they said there is a high demand for, but they also have plans to diversify. Additionally, the Lelys are planning to transition their row crops into more permanent raised beds. “This year, we’re really excited to just be able to focus on farming,” said Melissa. At the end of February, the couple still had no power or water to their farm, but they began to see progress in the clean-up of debris and everything began to happen quicker than they expected. Through the recovery process, Austin and Melissa were both excited to see that people still value the service of agriculture. The couple said they are saddened to hear about other farmers who have chosen not to continue farming after the October wildfires, but they know it’s a difficult decision and said they couldn’t do it without the community support they have received. You can donate to the GoFundMe for Austin and Melissa at gofundme.com/missys-homebusiness.